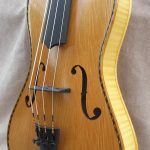 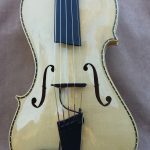 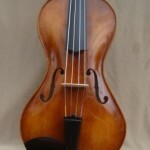 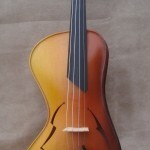 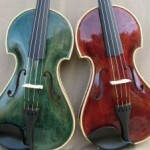 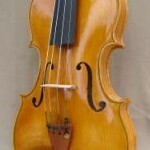 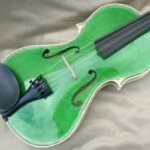 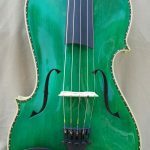 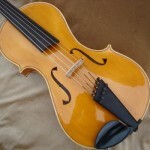 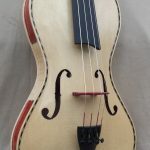 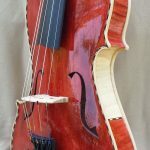 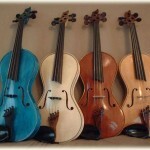 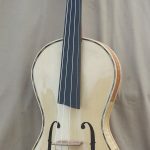 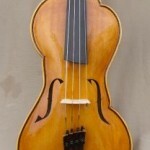 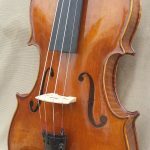 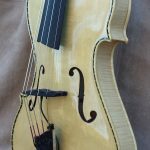 SOLD Asymmetric shaped 5 String Violin. 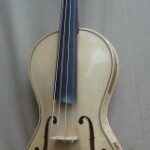 Blonde edges, open scroll, 2 coloured ribs, distinctive f holes and fine tuning pegs. 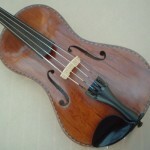 This instrument can be fitted with a pick up. 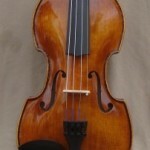 SOLD Asymmetric shaped 5 String Violin. 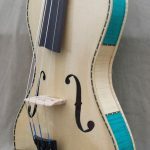 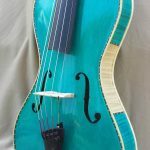 With Blonde edges, 2 coloured ribs, open scroll, distinctive f holes and fine tuning pegs. 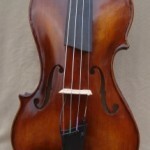 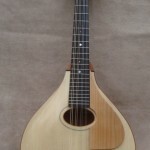 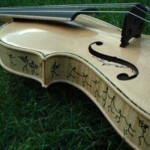 This instrument can be fitted with a pick up system.